Deft Communications specializes in helping our clients prepare for all manner of presentations, whether it’s going on camera as a spokesperson, delivering a keynote speech to a large auditorium, or simply conducting a small team meeting. This blog series will periodically provide best practices for any type of presentation you do. This week’s Presentation Tip #1 is about being aware of your time limits. As a public speaking instructor for college students, one of the most frequent complaints I receive – at least once a semester – regarded the seemingly draconian penalties I handed out for exceeding the time limit on any given speech assignment. The common argument was that a time limit was arbitrary, and that a speech should be allowed to go as long as the topic warranted, and then judged on the merit of its content. 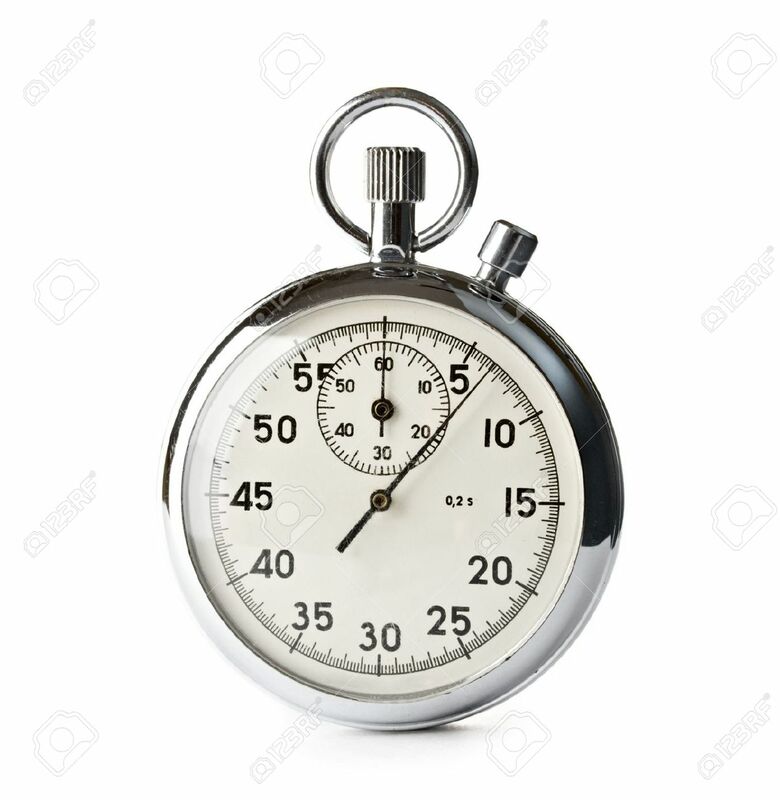 What I end up explaining time and again is that adhering to the time limit is a key indicator of the merit of a speech’s content. When schooling functions at its highest level, it serves as preparation for real world conditions. And in the real world, we deal with seemingly arbitrary limitations all the time. Learning to navigate those limitations effectively is what breeds nimble, successful professionals. In terms of public speaking opportunities, only in the very rarest of circumstances will you be given a blank slate on what to speak, and for how long. Virtually no one is given that kind of free reign. You will almost certainly be given time constraints, and while staying within them can be challenging, I think time limits are better viewed as a gift. A time limit is an opportunity to hone and tailor your presentation to its most optimal. Do you have five minutes to present? You’d better make those five minutes count. That means distilling your material to its most impactful elements and focusing on that which you want your audience to think, do or feel. Understanding your presentation from the point of view of your audience might also help you understand it better as the presenter. On a more practical note, adhering to the allotted time also demonstrates respect for your fellow presenters. 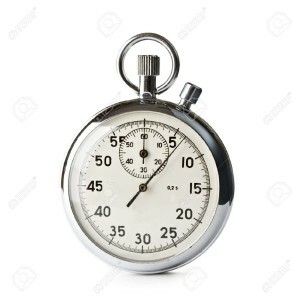 If you’re participating on a panel during a day featuring multiple presentations, when you don’t adhere to the time limit, you’ve just taken time from someone else. Let’s say there’s three panelists, each given 20 minutes. If you go 25, you’ve forced your fellow presenters to shave five minutes from one (or from a combination of both) of their presentations. That can be viewed as careless at best, and disrespectful at worst. Know your time limit ahead of time, tailor your presentation to fit the allotted time and focus on the key takeaway for your audience. Then deliver your material confidently. You’ll portray yourself as knowledgeable, poised, and respectful of your audience. Today is Opening Day, and Kristin, Grace and I are headed down to 20th and Blake. We treat Opening Day like a holiday, and look forward to it every year. And when you think about it, Opening Day is like a holiday. What holiday is it? I like to think of it as the Sneak Preview to Summer. It’s like getting an advance screening of what your life will be like once the weather gods decide to stop messing with everyone. The sun shines, you’re gathered around friends, maybe drinking a few beers, and passing the afternoon with a ballgame. It’s fantastic, and it’s easy to forget that it will probably snow at least two more times before summer officially arrives. I was having lunch recently with Reed Saunders, who is the Public Address Announcer for the Rockies (he’s also the groom in this classic Rockies commercial), and he confirmed the same thing to me. We’ve had a remarkable run of luck weather-wise for Opening Day. It will be good to hear his voice boom over the P.A. once again. I missed it last year because I was trapped on conference calls all day and into the afternoon, which made me unhappy in ways I don’t think are healthy. So it’s cool to sort of bring it full circle with her. I hope she enjoys the experience, even though she won’t remember it. So, if you’re headed down to Coors Field today, hit us up. We’ll be happy to share a beer or some peanuts with you. 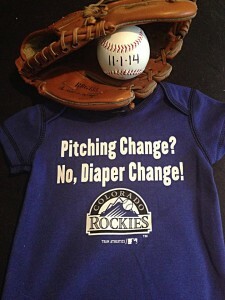 And hey, the Rockies are off to a promising start. Even better!